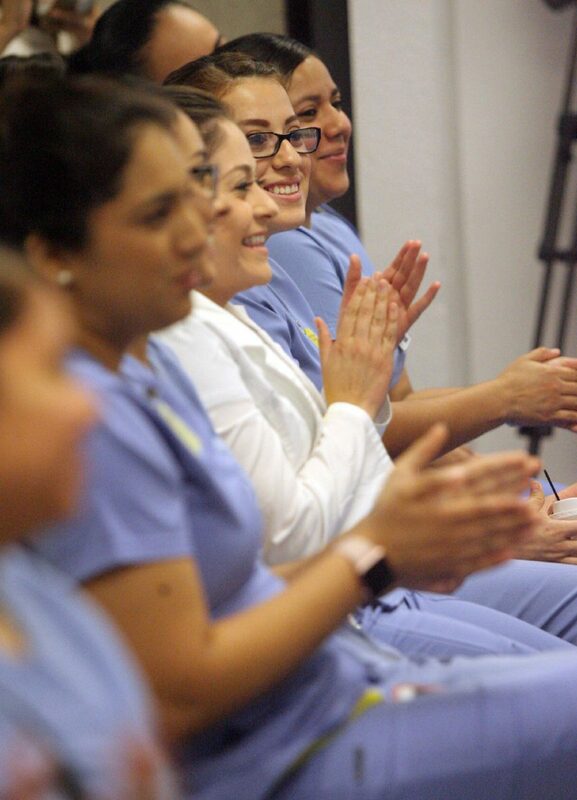 McALLEN — By the fall of 2018 South Texas College expects to be the first community college in the state to offer a baccalaureate degree in nursing thanks to recently passed legislation. Senate Bill 2118, was passed earlier this month authorizing junior colleges that have demonstrated a workforce need to offer baccalaureate degrees in nursing, applied technology or applied sciences. 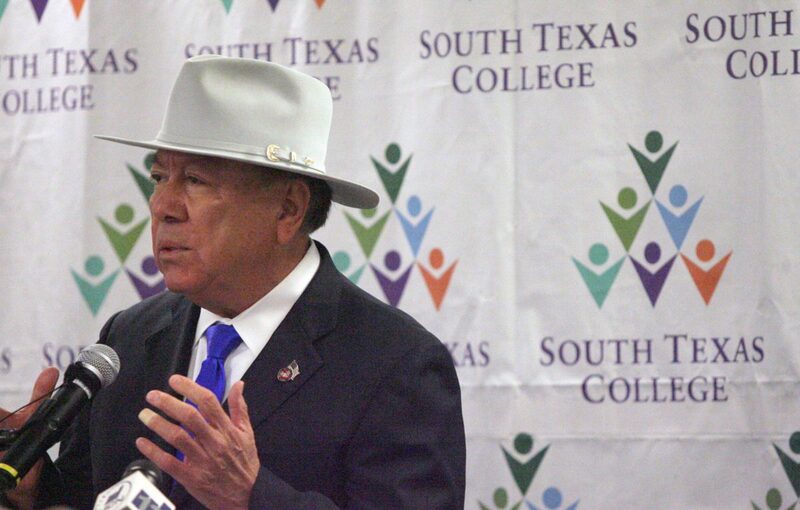 With a clear need for nurses in the Rio Grande Valley, South Texas College is already working to develop a degree plan to offer a baccalaureate of science in nursing that will be taken up to the Texas Board of Nursing for approval later this year and accrediting agencies including the Southern Association of Colleges and Schools and the Texas Board of Nursing. 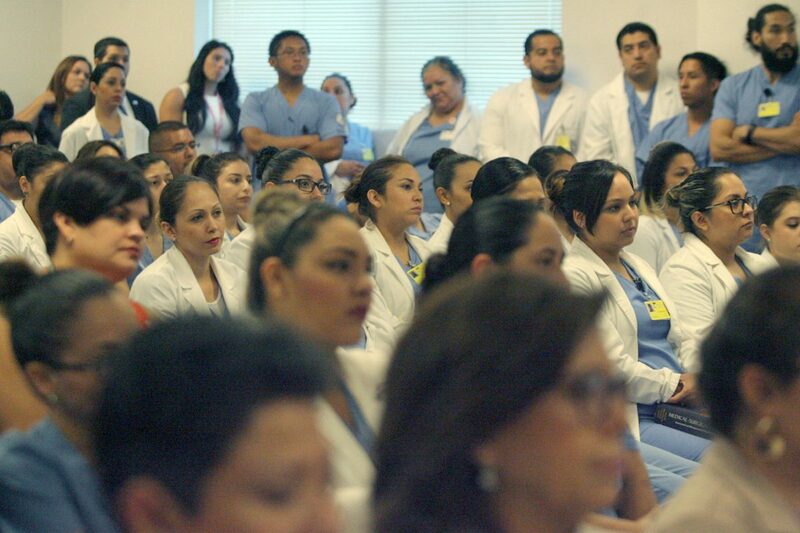 MCALLEN, Tx- STC students listen as they announce the passage of SB 2118 that permits community colleges to offer certain baccalaureate programs Monday, June 26, 2017 at the STC Campus on McColl and Ridge in McAllen. MCALLEN, Tx- STC students clap as they announce the passage of SB 2118 that permits community colleges to offer certain baccalaureate programs Monday, June 26, 2017 at the STC Campus on McColl and Ridge roads in McAllen. Because the college is already offering baccalaureate degrees in other science fields, Valerio said they have some of the necessary pre-qualifications to allow them to apply for the nursing programs. “We already begun the process of getting a national nursing accreditation, because that is one of the stipulations of the senate bill,” Valerio said. In Texas only 57.5 percent of registered nurses with an associate degree sought a baccalaureate degree in 2016, he explained, not meeting the recommendation by the Institute of Medicine to have at least 80 percent of nurses seeking these degrees. Because the bill is new, the college is waiting for the Texas Board of Nursing to come up with guidelines or stipulations necessary to complete their proposal. The plan is to offer the degree mainly online to accommodate to the schedule of many registered nurses who might want to continue their education but are already practicing. One of the main goals is to have 95 percent of the ADN courses transferable to the BDN program so that students have the least repetition as possible while complying with required courses. So far, Valerio said he has already identified about 50 students that would be ready to move on to the baccalaureate program, plus other staff members who would also be interested in continuing their education.